Mother Marie Alphonsine Danil Ghattas was born in Jerusalem, on 4th October, 1843. It was “prayer, the rosary, and faith in God” that sustained Cathy and Rob as they bore “the cross of not being able to have children, and accepting that”, and rejoiced in “seeing what other paths God may have for you, and the amazing joy God’s path can bring that you don’t even realise could happen”. 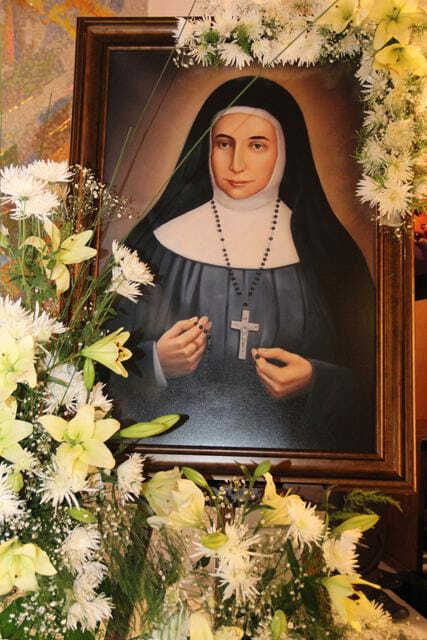 Pope Francis will also canonise Blessed Jeanne Emilie De Villeneuve, founder of the Congregation of the Sisters of the Immaculate Conception, and Blessed Mariam Baouardy, a Melkite member of the Discalced Carmelites.